We are hosting our Annual meeting at Pendleton City Hall, in the Community Room on Thursday April 25th at 6pm. We will go over our accomplishments over the past year and vote on new PAWS Board Members. 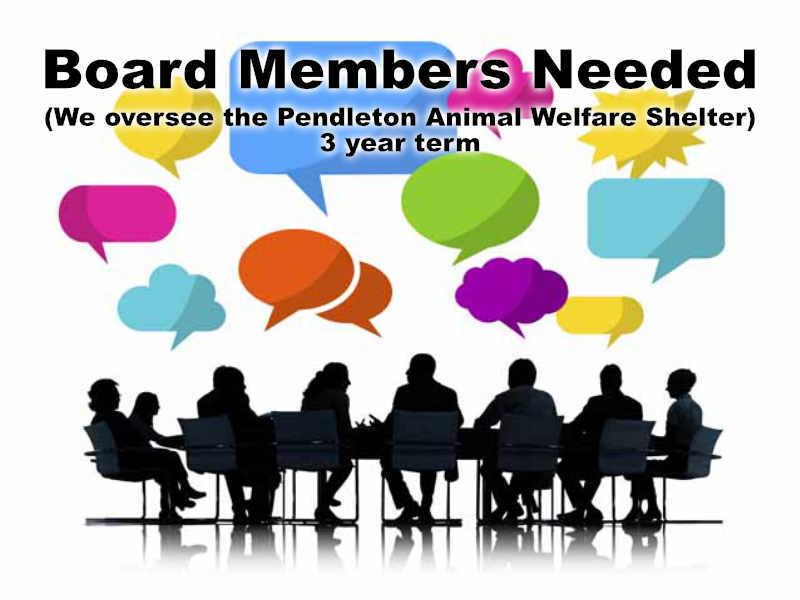 Board member applications can be emailed to pawspendleton@gmail.com or submitted directly to the shelter.